I was going to make meatballs and it just sounded like too much work so I decided to make Italian sloppy Joes. After I cooked the meat and poured the spaghetti sauce in I thought putting provolone cheese sounded good on it and then I thought why not add cottage cheese while I was at it. 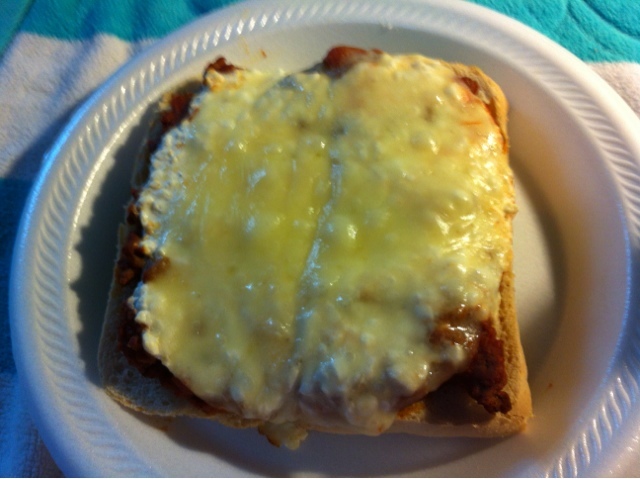 There you have it, Open Face Lasagna Sandwiches. Oh my were these yummy! In a skillet brown the ground beef. Drain. Place back in pan and add the spaghetti sauce and heat through. On a baking sheet place the 6 French bread rolls opened up. Spread 1/2 cup of the meat mixture on each roll. 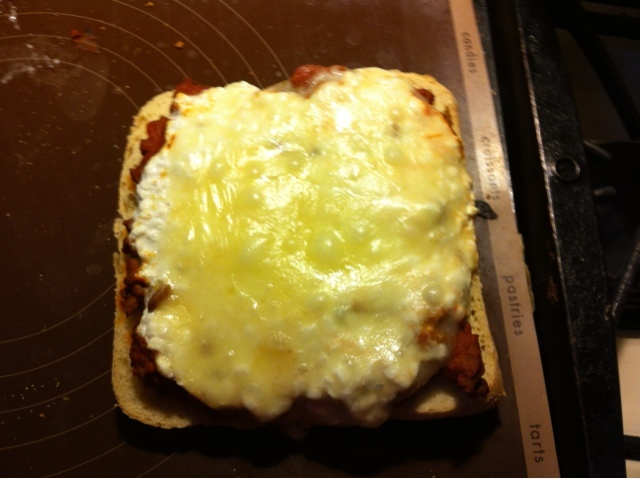 Spread 1/4 cup of cottage cheese on top of the meat mixture. Place two slices of the provolone on each roll. Bake for 10 minutes or until the cheese is nice and melty. The bread gets nice and crusty.